Many restaurant owners find themselves trying to rub two pennies together to make a nickel when it comes to equipment needs, so many of the extras tend to get left out. What many don’t realize is that these technologies and extra investments have been made to cut down on total costs over time. Automatic pot washers and pre-soak agitating sinks are just one of these extra costs that are often overlooked but that can also save you money in the long-run. 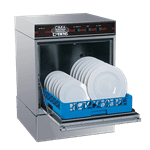 Commercial dishwashers are essential for any fast-paced foodservice industry, especially when there’s a large volume of pots and dishes to be cleaned. 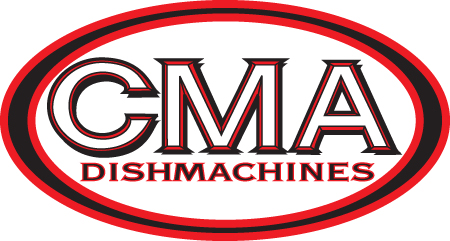 Some commercial dishwashers work similar to a commercial car wash, with a pulley system that pulls the rack through a small chamber (Known widely as a "rack conveyor" systems). Single-rack washers require an operator to push the rack into the washer, close the doors, start the cycle, and then open the doors to pull out the cleaned rack, possibly through a second opening into an unloading area. Technology has advanced so that many of these pot washers are now automated. In conjunction, presoak agitating sinks add another layer of automation that cuts back on labor and time! The benefits will be felt in your pocket long after the initial investment - but in a good way! Automatic pot washers and presoak agitating sinks cut back on the labor required by employees to operate them. Think about it: There’s no healthcare costs to a machine, no sick days, and no paycheck needed! You simply invest in the product and cut back on costs over time. Simply maintain your equipment as you would with any other unit, and you’ll ensure that you’re getting the most out of your investment by extending its life.